Please click here to Pay Tithes, Offering, or Miscellaneous Donations. For all Miscellaneous Donations please specify in comments what area you would like to donate your funds. 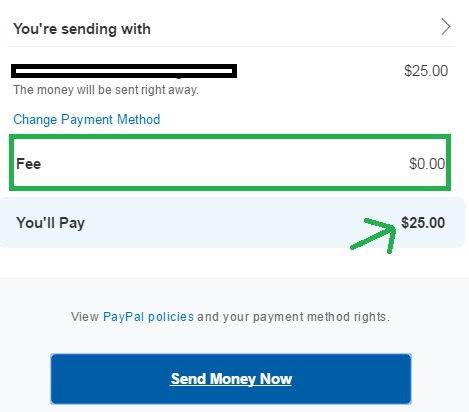 Please Note that Paypal will charge a fee to your donations if you choose to pay utilizing the button above. In order to avoid this fee you can send your donations via Paypal to the address baptistchurch.duncancreek@gmail.com. Instructions on how to make a donation without being charged a fee are below. 1. 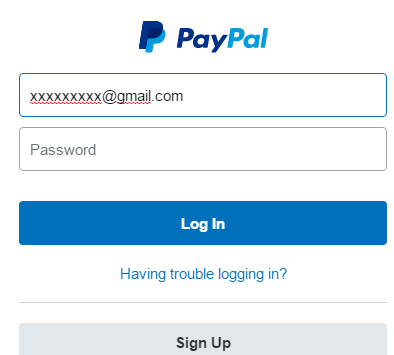 Navigate in your Web Browser (Internet Explorer) to Paypal's website. 2. Log in on this screen. Note: You may need to create a Paypal Account if you don't have one already. 3. Once you are logged in, Select Pay or Send Money. 4. Next Select Send Money to Family and Friends (Don't choose Pay for Goods or Services). 5. 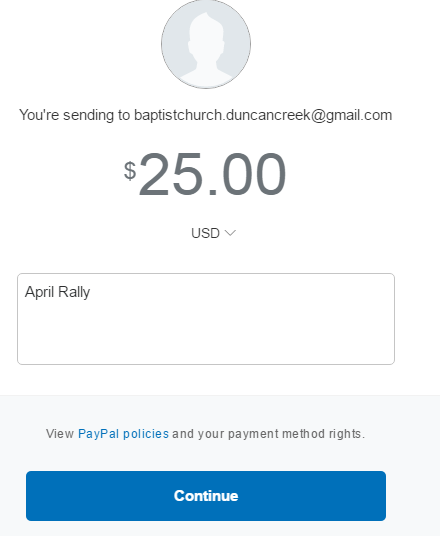 Enter this email address on the screen below: baptistchurch.duncancreek@gmail.com and select Next. 6. Enter the amount you want to send (add a note to describe donation) and select Continue. 7. Verify that no fee is being charged; your bank account is correct and select Send Money Now. 8. Your Donation is now complete.